Si presentan el año que viene los A1-Ibiza-Polo igual me dejo caer por allí. 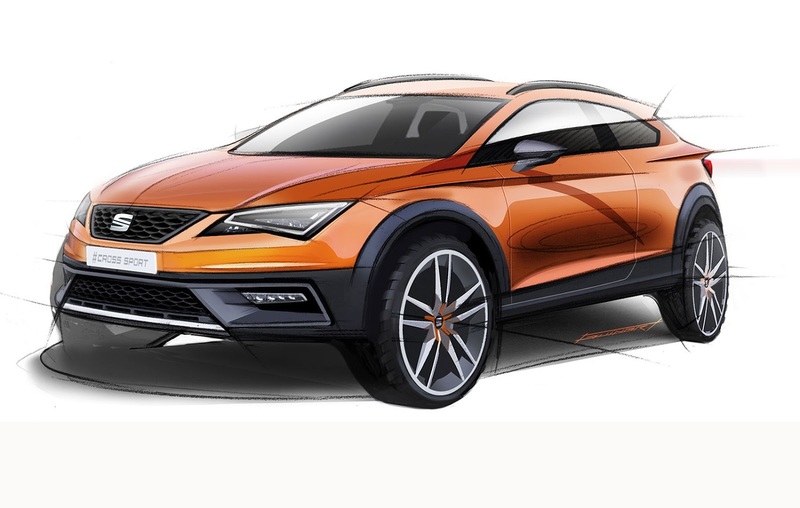 El SUV de SEAT para cuando se presentaba? paulodelarosa escribió: Si presentan el año que viene los A1-Ibiza-Polo igual me dejo caer por allí. El año que viene es Paris jeje. Ahí igual veriamos el facelift del Clio, que encaja por esas fechas. No me acordaba de la alternancia. Jejeje. Paris 2012. Que buenos recuerdos. jejeje. Mac. Si piensar ir a Frankfurt. Cada día que pasa te sale más caro. Jejeje. Las marcas podían ponerse de acuerdo y presentar los nuevos modelos a la vez. Audi is presenting its next step in automotive lighting technology at the IAA in Frankfurt. The new Matrix OLED lights enable a previously unattainable level of lighting homogeneity, opening up further creative opportunities for design. As the leading brand in automotive lighting technology, Audi has systematically developed all aspects of OLED technology over the years. Matrix OLED lights combine high‑tech engineering and design ideally – initial projects are currently underway to implement OLED technology in production tail lights. 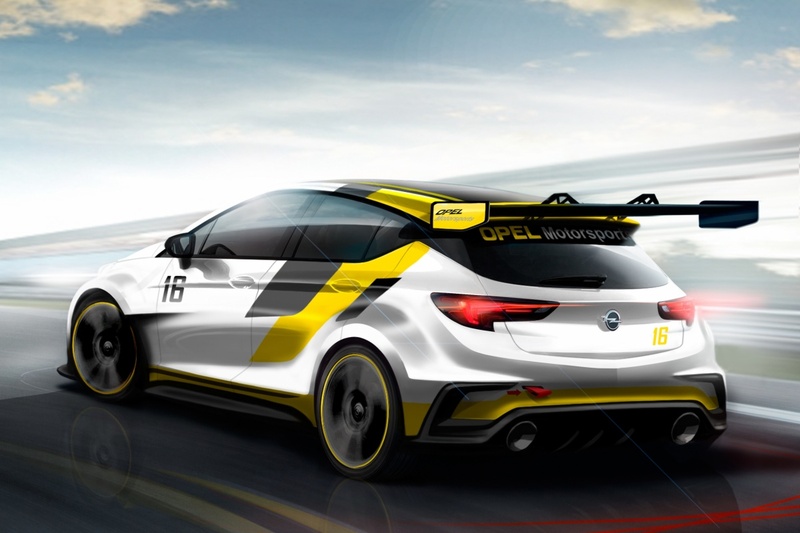 They are being shown for the first time in a concept car at the IAA. OLED is an English acronym for “organic light emitting diode.” In each OLED unit, two electrodes – of which at least one must be transparent – incorporate numerous thin layers of organic semiconductor materials. A low DC voltage – between three and four volts – activates the layers, each of which is less than one‑thousandth of a millimeter thick, to light them. The color is based on the molecular composition of the light source. In contrast to point light sources – such as LEDs – which are made of semiconductor crystals, OLEDs are flat light sources. Their light attains a new level of homogeneity, and its dimming is continuously variable. The lights do not cast any shadows and do not require any reflectors, light guides or similar optical components – and this makes the OLED units efficient and lightweight. In addition, they hardly need any cooling. Progress in OLED technology is being made rapidly – in part due to the driving force of Audi. As soon as further increases in light density are realized, OLEDs will soon be able to generate turn signal and brake lights too. The thin glass sheets that are used today to encase the organic material will be replaced by plastic films. These new flexible substrate materials will lend themselves to three‑dimensional forming, and this will open up entirely new creative spaces for designers. Audi has already shown the potential of OLED technology in many models and demonstrators. Special highlights are “OLED lighting” with transparent, multi-colored OLEDs in the silhouette of the car and “the swarm” with a three-dimensional OLED display. Another benefit of OLEDs: They can be subdivided into small segments that can be controlled at different brightness levels. In addition, different colors and transparent OLED units will be possible. This enables new lighting scenarios with extremely fast switchover times. The illuminated sub-surfaces exhibit very precise boundaries with one another. This is what distinguishes OLED technology at Audi, transforming it into the Audi Matrix OLED technology that supplements Audi Matrix LED and Matrix Laser technologies for headlights. Y creo que el Toyota Rav 4 Facelit y el Toyota Auris Facelit también. Así como el Montero Sport 2016 y el minisuv Hyundai Creta. ¿Se sabe algo del nuevo Roomster? Del 19 al 22 de Septiembre iré a Frankfurt. Alguien más? Munich. The BMW Group will be exhibiting from 15 – 27 September in Frankfurt with a one-of-a-kind stand architecture that takes modern experiential marketing to a whole new level. Under the BMW Group umbrella, the BMW, MINI and Rolls-Royce brands will showcase their strong, separate identities in impressive style. With a much longer circuit (now 400 m) than in 2013, the stand now offers active-driving demonstrations of BMW and MINI-brand vehicles for the first time and is the most distinctive architectural feature of the 2015 stand. In this way, the innovation, dynamic performance and diversity of the BMW Group comes to life for the visitor in a direct, impressive manner. With more than 12,000 m2 over two levels, this year’s stand is the BMW Group’s largest- ever. All innovations, new models and the entire product portfolio will be on show for the media and all other visitors. BMW and MINI technology and product highlights will be presented to visitors in brief shows 20 times per day on stages integrated into the circuit. The BMW stage is an imposing 50 metres wide. Intelligent use of digitalisation: For the first time, BMW is allowing visitors a glimpse behind the scenes with access to additional content on innovations and vehicles using the BMW IAA App. In addition to an audio guide to the display, the app also offers augmented reality features, which enable the new BMW 7 Series and other exhibits to be experienced in a new dimension. The highlight for the BMW brand at the IAA this year will be the new BMW 7 Series. Its vision, innovations and features provide the starting point for both architecture and staging. The BMW stand is designed in the style of a flagship store, with the corresponding architecture and staging to create a brand-experience forum for visitors. The new BMW 7 Series stands for modern luxury, interpreted at the IAA in the form of contemporary architecture, attention to detail and state-of-the-art technologies – with a positive spill-over for all the brand’s other models . In addition to the active-driving concept, the heart of the BMW presentation is a rotunda used for staging highlights: It provides visitors with changing perspectives of the new BMW 7 Series, leading to a spacious plaza on the upper floor. The plaza with the “BMW 7 Series Gallery” offers insights into the product substance of the BMW 7 Series and the meaning of modern luxury: aesthetic appeal, attention to detail, excellent craftsmanship – as well as pushing technological boundaries in a connected world. This is illustrated through vehicle details and examples of the finest manufacturing artistry from other areas, such as the Nymphenburg Porcelain Manufactory. 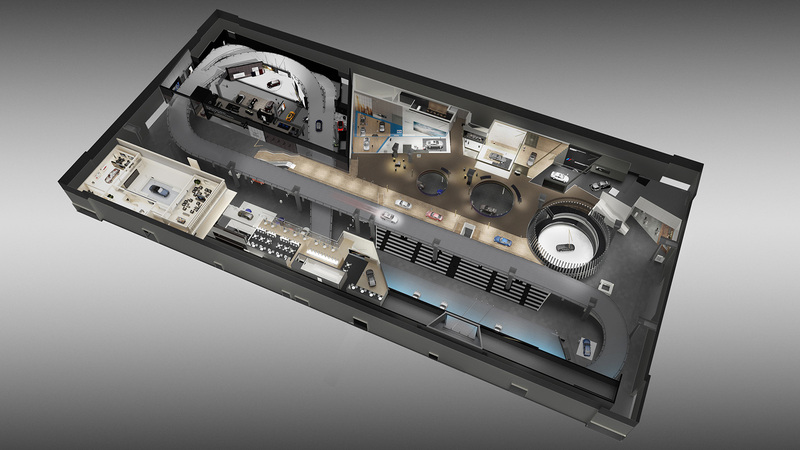 Three rooms provide the opportunity to explore the focus topics of the new BMW brand flagship in more detail. The three displays centre on a new BMW 7 Series with M Sports Package, a new BMW 7 Series with the Design Pure Excellence package and the BMW eDrive variant: the BMW 740Le. The vehicles are accompanied by top-quality, intuitive exhibits that help visitors explore topics in more depth. For example, the interactive multimedia wall allows new gesture control technology to be experienced easily to impressive effect outside the car. Visitors are encouraged to walk around and take their time to discover and experience the new BMW 7 Series in a highly personal way. Circular openings in the architecture provide exciting glimpses and perspectives of the whole stand. This creates generous spaces and at the same time provides thematic links between the luxury segment on the upper floor and the premium segment on the ground floor. The focus of the BMW i sub-brand is on innovative charging concepts and service offerings, alongside the current BMW i3 and BMW i8 cars. BMW Connected Living is presented as the next area of innovation. At this year’s IAA, for the first time, BMW i will present intelligent applications that go far beyond pure mobility solutions and extend into other areas of the user’s life. In this way, BMW i once again proves its power of innovation and underlines what it stands for: pioneering, sustainable individual mobility. The spacious BMW i display continues from the ground floor through the open architecture to the upper floor and the BMW i8 presentation. Here, advanced technologies, such as carbon core and laser lighting, tie in with the modern interpretation of luxury. BMW i sub-brand to the core brand continues with the premieres of the BMW eDrive models of the BMW 2 Series, BMW 3 Series, BMW X5 and BMW 7 Series. Visitors experience these new models in an area that combines information on the underlying technology with strong emotional appeal. The BMW M sub-brand is represented by no fewer than five models, including one world premiere: the new BMW M3 Sedan. Architecture, media and lighting create the perfect atmosphere to showcase these high-performance sports cars. Red mirrored walls and pulsating light installations bring the space and products to dynamic life – taking the fascination of BMW M to a whole new level. Together, creativity and craftsmanship are what create works of art. At the Frankfurt show, the high standard and outstanding quality of materials and workmanship of BMW Individual, BMW M’s second business area, can be experienced through handcrafted exhibits. A wide range of samples and customisation examples are displayed in a total of four vehicles – with the highlight a BMW Individual design study in a BMW 750 Li – so visitors can learn more about BMW Individual and BMW Manufaktur options. BMW will also unveil the new BMW X1 for the first time at IAA 2015. The second generation of this highly-successful model, which has been sold more than 730,000 times worldwide, will be displayed with typical BMW X chassis design, an even more spacious interior and advanced functionality. The stand uses an eye-catching installation to showcase the limitless possibilities of the robust Sports Activity Vehicle: A 50 m2 rock structure towers above both levels of the stand and positions the new BMW X1 as the perfect all-rounder – at home in the urban world and the great outdoors. The BMW 3 Series, BMW’s most successful model of all time, will celebrate its anniversary at IAA 2015. The car that is still BMW’s top-selling model series went into production 40 years ago, heralding a new era in automotive history. The stand uses different media to portray key scenes from the legendary sports sedan’s development over six generations: starting with the first BMW 3 Series with six-cylinder petrol engine that created the mid-size sports sedan segment, up to the latest model, the new BMW 3 Series Sedan. BMW Motorrad demonstrates its authority with a separate identity within the BMW presence. Four series models will be presented this year, the BMW F 800, the BMW S 1000 RR, the BMW S 1000 XR and the BMW R nineT, as well as BMW’s initial idea for a scrambler: the BMW Concept Path 22. In this bike’s minimalistic approach, every form and every surface serves a function. Alongside the brands, the BMW Group Junior Campus once again creates a space where younger visitors can have fun with the topics of mobility at IAA 2015. In the outdoor area next to Hall 11 North, youngsters aged 11 to 14 years can learn about sustainability, mobility, technology and design in practical workshops. Under the motto “Mission Mobility: Develop. Build. Test.” teams work with trained educators to design a go-kart, which they then test on a special course. The workshops are free for children and young people. Registration is required at bmwjuniorcampus@erlebniskontor.de. Tickets are valid for the duration of the trade show. MINI Creative Hub. As part of the BMW Group presence, this year’s MINI stand highlights the Group’s innovative strength and builds on MINI’s tradition of constant reinvention. This is the first time MINI will appear entirely in its new corporate design. The brand’s smart and authentic identity is reflected in the architecture, communications and film material. The new brand philosophy represents the progressive lifestyle of the creative class. The main focus of attention is on the world premiere of the new MINI Clubman. With a new six-door version of this striking and highly-successful MINI model, the brand is venturing into the next-highest vehicle class for the first time and raising the bar for design, material and product substance. The nine-metre-high window at the front of the stand provides a view of the world of the new MINI Clubman. Based on the idea “The Clubman Dialogues”, visitors are invited to discover the creative, urbane world of the new MINI Clubman. The main highlight exhibit offers users the opportunity to explore the world of the new MINI Clubman and create a personal editorial. MINI John Cooper Works transports the visitor to a wide-open, urban-industrial world. Two members of the legendary John Cooper Works family will be shown against the backdrop of a large aircraft hangar. Freedom, heritage and exclusivity are translated into a walk-in experience. The stand presents the MINI Countryman as a car that is equally at home in the city as in the country. MINI Connected is a common thread throughout, as an expression of MINI’s digital identity. Driver assistance systems, in-car infotainment, virtual reality – a wide range of innovative multimedia exhibits allow the almost limitless possibilities of ground-breaking technologies to be experienced in an interactive manner. The MINI Connected Lounge with its relaxed loft atmosphere on the upper level offers a spectacular view of the stage and track, while MINI 360° provides a glimpse of the future. MINI Yours stands for nothing less than tailor-made exclusivity. This area invites guests to discover the first-class design and materials in the creative atmosphere of a studio. A large-scale display cabinet presents the diversity and exquisite craftsmanship of MINI Yours. MINI Accessories opens up a world of different possibilities – with accessories in all shapes and colours that can be combined in countless different way. Visitors have the chance to create their own MINI look with the MINI accessories configurator. The focus of the MINI Lifestyle shop this year will be on the new MINI Gentleman’s Capsule Collection, inspired by the new MINI Clubman, with accessories such as hats, glasses, shoes, a fragrance and an exclusive shaving set. Guests of Rolls-Royce: The stand concept for Rolls-Royce Motorcars’ presence at IAA 2015 recreates a modern villa – cool and contemporary. Its inviting architecture makes the brand appear more open and accessible than at previous shows. The world premiere of the new Rolls-Royce Dawn is the undisputed highlight for the brand this year. The impressively elegant exterior design of this four-seater luxury Drophead combines the iconic presence of a Rolls-Royce with a cool and contemporary Rolls-Royce vision. The Dawn is an extremely appealing vehicle, quite unlike any other Rolls-Royce to date. Two different configurations will be presented at the stand. A special selection of vehicles will be open to all visitors in the Collector’s Garage: the new Wraith Inspired by Music, a Phantom Limelight and a Ghost Series II. In the Sir Henry Royce Lounge, customers and prospects can find inspiration for their own personal design wishes and discuss them directly with members of the Rolls-Royce team in a relaxed atmosphere. Bespoke is Rolls-Royce . One of the success factors for “Bespoke is Rolls-Royce” is the close cooperation between designers and customers, whose wishes are seamlessly integrated to create a car as unique as a fingerprint. In the bespoke studio, guests have the chance to explore the detailed design process of a number of iconic features. Para SEAT no han confirmado nada, pero se supone/rumorea que presentarán el Ibiza Cupra y los Fr Line para los Mii y Alhambra. Suzuki presenta el Baleno en el salón. 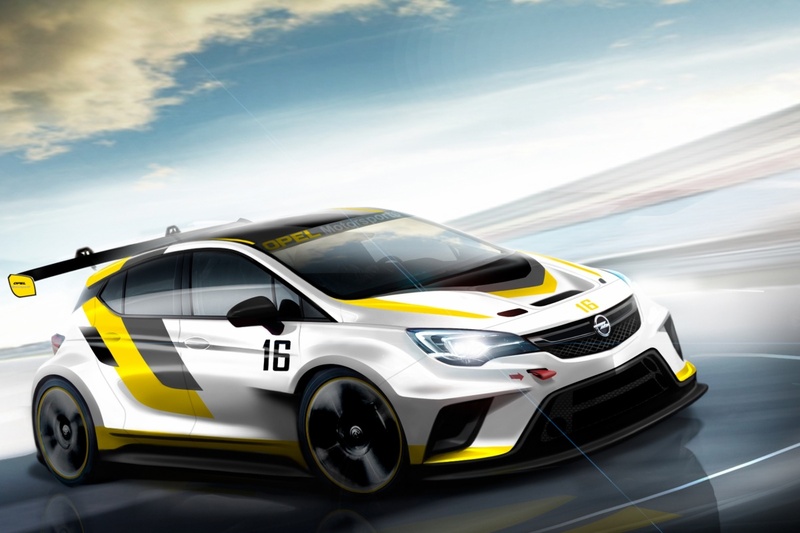 *2 12 vehicles will be displayed on press days. illustrates the upmarket potential of the Brand’s new positioning. - The modernised range shares the same common denominator: comfort, a typically CITROËN expertise. customer experience for more trust and peace of mind.